Now, you could be forgiven for making the fair assumption that I’d started this blog with a bit of ‘self reflection’. And whilst in some instances similarities can certainly be drawn (I do have the pins to carry off a pair of tights to frightening effect), I am of course referring to Robin Hood. But what, you ask, is with the focus on the ‘Prince of Thieves’, made most famous on the silver screen by the likes of Kevin Costner, Russell Crowe and a little orange cartoon fox? !…well, this blog review takes inspiration from a brand that goes a long way towards bottling the ‘spirit’ of Robin Hood himself; they’re taking from the richest source of botanicals, and giving to the pour…(see what I did there? !…I thank you.). May I present to you ‘Sir Robin of Locksley Gin’. Locksley Distilling Co. was established in March 2013 by John Cherry (call him ‘Little John’ at your peril…). Having established an enviable 20 year career in the hospitality & catering industry, across France and America (providing the opportunity to sample the finest wines & spirits from around the globe), Cherry and his New Yorker wife Cynthia (‘Marian’ would have been far to convenient for my writing purposes!) decided to pack up their lives and head back to the UK. More importantly, they decided to relocate from New York to Johns place of birth in the Steel City of Sheffield. Having been interested in gin from an early age, the longstanding ambition to set up a distillery soon became a reality. As they set about the business of creating a distinctively unique gin that aimed to be somewhere between a traditional London Dry and the sweeter Old Tom style, John and his ‘Band of Merry (Cherry?…) Men’ embarked on a painstaking eight month flavour exhibition, experimenting with over 100 recipes before landing back at lucky number 61! Sir Robin of Locksley Gin was launched in the Summer of 2014, with a small batch production of around 1,000 bottles per month. And whilst their stature and notoriety has increased over the last few years, with their footprint also extending to some parts of the USA, small batch production and a craft mentality prevail to maintain their ethos of perhaps never being the largest distiller, but always striving to be the best. Having moved in to their premises in 2015, HRMC licensing restrictions originally forced the brands hand to start life using a partner distillery for production, whilst branding, R&D and bottling was maintained at their Portland Works Sheffield HQ. 2017 thankfully saw the team cross the finish line in moving distilling in to their own bricks & mortar base (which I was lucky enough to be invited to the unveiling of!). You may at this stage be wondering what all of the blatant references, as well a number of poorly disguised puns, to Robin Hood are all about. He’s from Nottingham isn’t he? !…well, that’s a point of controversy for another day. But the ‘Sir Robin’ name is a tip of the Yorkshire flat cap to the supposed birth place of Mr.Hood himself in the near by Loxley Valley, just a few miles from Sheffield City Centre. So perhaps he was a Sheffield lad after all?! At this point, I think it’s high time to Friar ‘Tuck’ in to this bad boy and really see what’s going on underneath the ‘Hood’ (I’m sorry, I can’t seem to stop myself…). First, there’s the bottle. Wowzers. You’re not going to miss this one of the back bar! Luminous greens & a bold red stopper make playful reference to their heroic poster boy. Take a studying gaze at the capital ‘R’ that sits front and centre, and you’ll find clever depictions of the Robin Hood back story, as well as imagery of some of the botanicals that you’ll find inside. ‘No. Sixty One’ is also inscribed on the label across the bottle, in acknowledgement of the hard work that led to their perfect recipe. Add to this the fact that the team have very recently invested in a body image change, which now sees a sleeker bottle shape and boasts embossed branding and botanicals, and you have in your hand a work of art. And speaking of botanicals, in Sir Robin of Locksley you’re going to find 8 key ingredients. Juniper (obviously), coriander, cassia bark, angelica root and liquorice root make up the fairly standard and solid base. But it’s in the addition of pink grapefruit and locally sourced elderflower & dandelion that make things really interesting, giving this distilled gin a sweeter flavour, smoother profile and real point of difference. Full disclosure. I’ve spent a lot of time with this gin & their fantastic team, even lending some of my time to supporting them at tasting events (which as a neutral blogger is not an investment I take lightly). The reason I am always happy to be associated with such an awesome brand is simple. It is a great gin, passionately crafted and made by people who care. It’s fast become one of my all time favourite gins and a real game changer for anyone I can convince to give it a go! (I’ll be honest – it never takes much convincing…). On the nose, juniper, pink grapefruit & elderflower leap from the glass. It is citrus forwards, but without an aggressive alcohol heat to its nature. There is both a freshness & sweetness to the fragrance, with a delicate nod to the earthier inclusions of liquorice root, cassia and the herbal coriander. When tried neat, this gin is super smooth by design. It aims to be a sipping gin, which it achieves ten fold! The more unique inclusion of dandelion as a botanical is where things get really interesting. Whilst delivering some subtle earthy notes, it is invited to the party for its inherent ability to naturally tone down the aggression of the alcohol on the pallet, but not at the expense of altering the flavour profile. This means that there is no need for the famous ‘gin face’ that so many pull when sampling a neat gin for the first time – very clever indeed! The botanicals are beautifully balanced, and all play an important role. But it’s the addition of distilled pink grapefruit & elderflower that make this a standout, adding a real sweetness. The delicate elderflower aromas work wonders against the citrus tones of the grapefruit. Stunning. This gin works on so many levels it’s untrue. First off, as far as a sipping gin goes this is top dog! Served over ice it’s a winner, with a mouth feel similar to a bourbon or whiskey. However, my signature serve and ‘go to’ is as a gin & tonic, using a light premium tonic water and a generous wedge of fresh pink grapefruit to harness those citrus flavours. But the sky really is the limit; Elderflower or Pink Grapefruit tonics will alter the experience completely. While Indian tonic waters will provide a more citrus/juniper profile, Elderflower & Grapefruit editions make it a sweeter, more floral summer sipper! Other options could be ginger ale/beer, soda water , prosecco or a fizz of your choice…Just so long as the gin isn’t drowned, the list goes on! A special mention has to go out to the cocktail alternatives of a dirty martini or a negroni, which this gin adds a different but awe inspiring twist to. Just wow. So what can I say about Sir Robin of Locksley that I haven’t already said before? Juniper, citrus, spice, sweet floral tones and the ability to transcend different serves, from neat to variations across the spectrum. For me, this gin has it all. Complex, clever & extremely drinkable, this is what I serve to anyone wanting to know what gin is all about (with a 100% conversion rate to date). An incredible gin, with a great team of craft pioneers around it. This is a brand that’s going to continue to go from strength to strength. From their very inception, they have been clear of their ambition to execute a multi-phase growth plan, which hopes to potentially deliver a tasting room, contract distilling ventures and the manufacture of bespoke private labels. Perhaps most exciting of all, and an indication that innovation is in full swing, is the launch of two new Locksley products on 9th June 2018 (or ‘World Gin Day’ as most of us will know it!). The introduction of a VSOT (Very Special Old Tom) Navy Strength Gin & a Morocello Citrus Liqueur (infused with Sicilian Moro blood oranges) are very welcome additions to the family. And whilst I have yet to get my hands on them to sample first hand, I can guarantee you that they will be something very special and not to be missed. I am by no means a wealthy man. But if taking my money will help keep on giving quality and exiting gins like this to the masses, then here is a blank cheque. Write any number you want on it. I’m sold. Make sure you follow the guys at Locksley Distilling across social media. 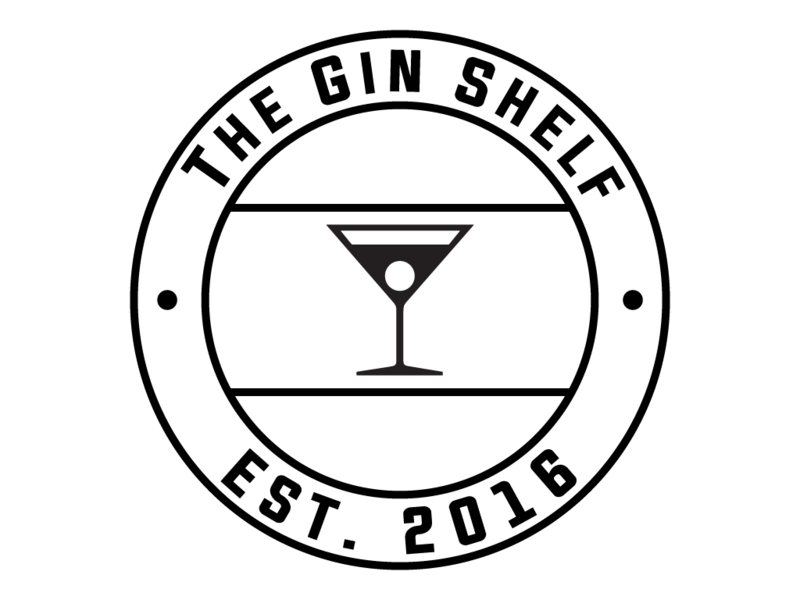 And don’t forget to stop by @theginshelf across all social media platforms for more blogs & event updates. Come and say ‘Hi’ & chat gin!